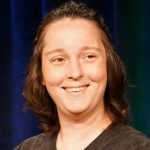 Katica Roy is an ambassador for gender equity in the workplace and beyond. 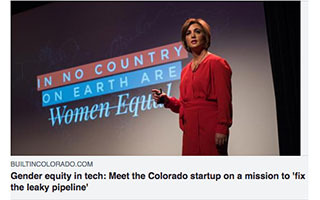 She is a gender economist and the CEO and founder of Denver-based Pipeline, an award-winning SaaS platform that leverages artificial intelligence to identify and drive economic gains through gender equity. 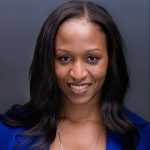 Pipeline launched the first gender equity app on Salesforce’s AppExchange. 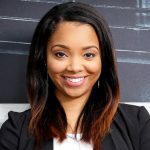 Melding her personal background with her professional expertise, Katica founded Pipeline using data science and technology to change the way companies view gender equity. 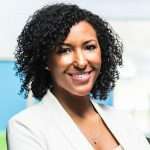 A former programmer, user interface/user experience designer, and data analytics expert, Katica harnesses her unique combination of skills at Pipeline to bridge the gender equity gap, providing businesses a fresh perspective around gender bias in the workforce and the data and tactical roadmap to eliminate it. 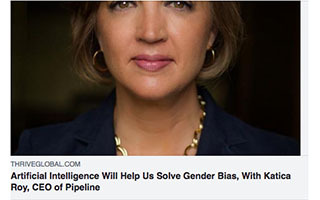 An award-winning business leader with more than two decades of experience in technology, healthcare, and financial services, Katica is credited as a rare combination of expertise in and passion for gender equity, people analytics, and sales operations. Katica is driven by a passion to eradicate economic inequality and champions the rights of refugees, women, and children. She pours her knowledge and unique lens into several community and global initiatives, including as a former board member of Edge of Seven and Isabella Bird Community School, and a current board member of the University of San Francisco’s Women in Leadership and Philanthropy, Book Trust, and University of Denver’s Colorado Women’s College, a member of the CU Leeds Women’s Council, and the Women’s Foundation of Colorado, as well as a 2018 Colorado Governors’ Fellow. Katica is also an industry entrepreneur, thought-leader, and frequent editorial contributor and speaker. 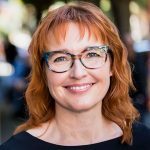 In 2017 was named a Luminary by the Colorado Technology Association and in 2018 was named a Top 25 Most Powerful Women in Business and a finalist in the Denver Business Journal’s 2018 Outstanding Women in Business. 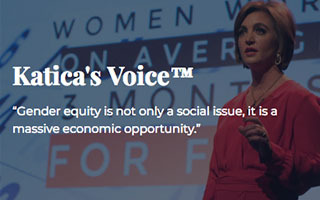 Using geographic and industry-specific data and research, this customized talk shows how gender inequity equals a constricted economic pie: not just for women, but for everyone. 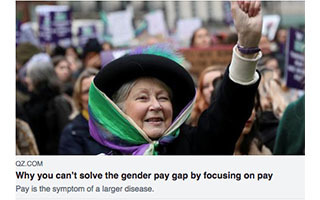 Learn the interplay and impact of gender inequity and economics and how you can bend the trend for the benefit of all. 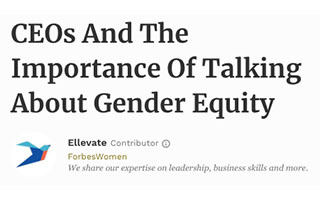 The gender equity conversation is often mired by the wrong approach — is it an issue or an opportunity? 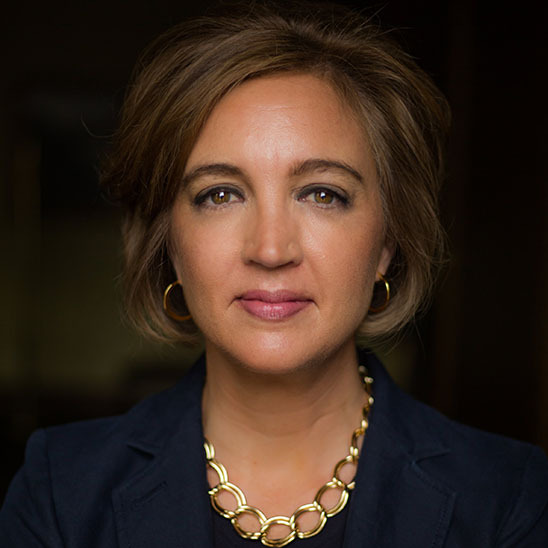 At a time when women are the breadwinners in 40% of U.S. households with children, Katica Roy shares how our communities suffer when we underinvest in our female workforce both now and in the future. 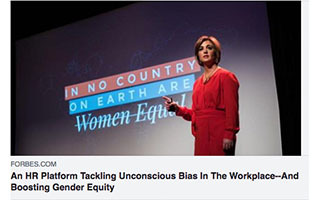 From education to innovation, debt to social security, poverty to healthcare, a common thread exists in the effort to improve performance in all of these: gender equity in the workforce. As communities, as people, we all benefit when we keep women in the workforce and we invest in them in ways specific to their needs. Let’s take a closer look. The Future of Revenue is about utilizing artificial intelligence to enable employers to make decisions to maximize the potential of their workforce. 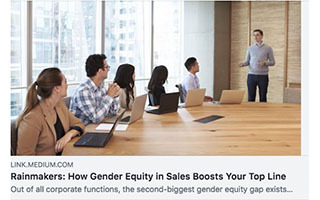 When 78% of CEOs say gender equity is one of their top 10 priorities while only 22% of employees say that gender diversity is regularly measured and shared, the leaky workforce pipeline is not being addressed and leaving financial returns on the table. 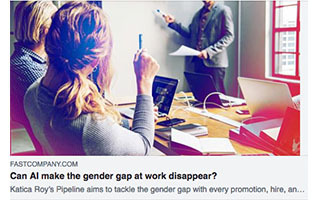 So how do employers identify the cracks in the workforce pipeline and improve their financial performance? 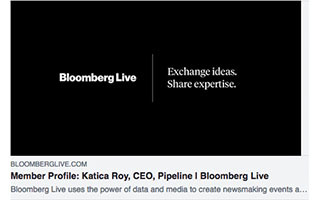 In this talk, Katica Roy, explains how she’s built a robust, data-driven platform using advanced technology, including artificial intelligence, to ensure equitable decisions and eradicate bias in human capital decisions that leads to improved financial performance for the organization, as well as, growth for the individual. AtlanticLIVE: Who Wins In the Age of AI? 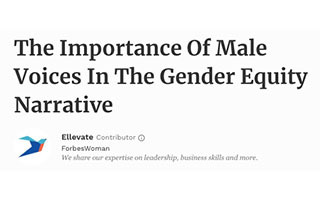 Fast Company: Can AI Make the Gender Gap at Work Disappear?